PoemTalk 40: Susan Schultz's "Dementia Blog"
Earlier this week, the PoemTalk podcast series released its landmark fortieth episode: an investigation of two entries from Susan Schultz's Dementia Blog. For this program, host Al Filreis was joined by Leonard Schwartz, Michelle Taransky and Jamie-Lee Josselyn. Filreis starts by asking the panelists to identify phrases that demonstrate the progression of Schultz's mother's dementia, as well as the shifting usage of pronouns throughout the selections. Taransky is reminded of Lyn Hejinian's Writing Is an Aid to Memory, noting "this writing is not just an aid to her memory, or her mother's failing memory, or the family's memories, but this also becomes a family thing" that's also "so public." "All of these pieces, all of this writing is in play in this system," she continues, "in the same way that the mother is trapped in the body, all of these little pieces are in this blog, which is this thing, this fact." Schwartz picks up on this addressing the seemingly public nature of this disclosure, however the majority of the posts in the book, including the two discussed, have zero comments. Josselyn, while also reminded of Hejinian, also acknowledges that writing "also destroys and destructs and gets in the way of" the organic, mental process of memory, leading her to wonder whether Schultz now remembers the events themselves or these writing-mediated accounts of them. Filreis returns to Schultz's introduction, where she comments upon the convergent processes of her children growing into maturity as her mother loses her faculties, and the effects this on the ways in which she cognized her own writing processes, particular the ways in which this form becomes prevalent. Schwartz also quotes Schultz in regards to "dementia as poetic form" — i.e. "Reverse Stein. Not insistence but repetition." While he's not sure that Dementia Blog is a direct critique of Stein, he does believe "this book honors a kind of indeterminacy as ethical," and Filreis recalls Schultz's response to a question on Schwartz's Cross Cultural Poetics program concerning the "strong ethical sense to memory: the sense in which 'if you have a memory and you use it correctly it's an ethical act; if you fail to remember certain important thing, that's an unethical act; if you lose your memory to illness it's something else,'" which he sees as "straightforward, non-Steinian, even [a] pre-modern notion." Schwartz counters this with Schultz's assertion that "to deal with a person with dementia, you need to take a fiction workshop — 'How to Tell the Truth But Tell It Slant' — 'theraputic lying' is what the agency people call it," which has both Dickensonian and Stevens-esque implications for him. Next, Filreis asks Josselyn about the personal ethics of memoir — the risks and benefits of remembering when forgetting is probably the healthier thing to do. What's most interesting to her is that "she really makes it about community, memory about community and memorylessness as solitude." "It's almost as if we need to write things down," she continues "even thought we're not going to get it, we're not going to understand by writing things down [...] She's choosing that because she needs to be part of this community rather than abandoning it altogether." Taransky picks up on this and questions the lyrical potential of Schultz's project, as tied to the tensions between personal expression and a public relating to her struggles, "so that there's somehow that ability to be both lyrical and poethical at the same time." The panelists then consider the political implications of memory loss, particularly within the context of the Bush administration. 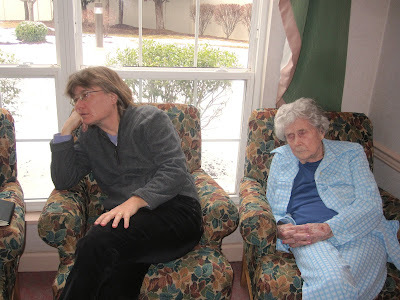 "Is it simply, 'I'm really angry about what's happening to my mother's memory, and on the other hand, people who have memories and ought to be ethically using them are deliberately forgetting,'" Filreis summarizes. Schwartz doesn't think anger is key here, in fact, he sees Schultz critiquing anger here. Bringing the conversation to a close, Schwartz comments upon the ways in which his powers of focus have been diminished in the internet area, therefore the appropriateness of Schultz's form in Dementia Blog, even if he had to "cheat" by reading the book backwards, in the proper chronological order. Josselyn is fascinated by the effects of the book's reversed timescale: "you're forced to live in the present," which is difficult, and this makes her think about her own writing process. Taransky speaks to the usefulness of this book as a way writers can work with and through an emerging technology to "learn something about themselves personally or the public or the whole world — probably both simultaneously." Filreis ends by placing Schultz's work alongside other elegiac avant-garde works which need to invent new forms to honor their subject, such as Jackson Mac Low's "A Vocabulary for Peter Innisfree Moore" or Bob Perelman's "Chronic Meanings," dedicated to Lee Hickman. Here, he believes, Schultz "finds a form that's going to enact the scrambling and forgetting, the difficulty," and there's a powerful, teachable lesson in this for writers and readers alike. PoemTalk is a co-production of PennSound, the Kelly Writers House and the Poetry Foundation. If you're interested in more information on the series or want to hear the previous thirty-nine episodes, please visit the PoemTalk blog, and don't forget that you can subscribe to the series through the iTunes music store. Stay tuned for future programs in the series that will address poems by Joan Retallack, Ezra Pound, Nathaniel Tarn, John Wieners Fred Wah and Eileen Myles. Thanks, as always, for listening! Poet and Chax Press founder Charles Alexander visited the Kelly Writers House earlier this week, for a lunchtime talk, and while we haven't yet posted the audio and video from that event, we do have two new recordings from that day to share with our listeners. First, is the twentieth and latest program in the PennSound Podcast Series — a discussion of Alexander's twenty-seven years' work with Chax, along with the historical impact of small presses in the realm of contemporary poetry and poetics. He tells host Al Filreis (who wrote a recent blog post on the podcast) about some of the people who personally shaped his development as a publisher, including Harry Duncan (of the Cummington Press) and Walter Hamady (of the Perishable Press Limited), along with esteemed contemporaries such as Gil Ott (of Singing Horse Press) and Steve Clay (of Granary Books). Filreis also invited Alexander to record a selection of recent poems, and he chose thirteen titles, including a half-dozen pieces from his "Pushing Water" series, and a handful of sonnets ("Sonnet Dream of Leslie Scalapino," "Sonnet for Harry Smith Print Shop," "Portland Sonnet" and "Sonnet for David"). You can hear this set, along with the aforementioned podcast discussion on PennSound's Charles Alexander author page, where they're featured alongside ten readings from 1990 to the present, and a number of interviews and discussions. Click on the title above to start listening. Last Tuesday, Nathaniel Mackey was in town for an evening reading at the Kelly Writers House. We'll have audio and video from that event in the near future, however today we have a very exciting Close Listening program in two parts, hosted by Charles Bernstein. First up is a twenty-eight minute reading session. Mackey begins with a number of selections from Nod House, a new book to be released this fall that "continues the weave of the serial poems I've been working on — Song of the Andoumboulou and Mu. The intertwinement of those two serial poems was most explicitly announced in the most recent book, Splay Anthem, and the last section of that book is called "Nub," and this book takes up with that intertwinement and also makes some reference to "Nub," which is the name for a place, the name for a condition, and the name for a number of other things." "There's a new name or place in Nod House," Mackey explains, "Quag," which lends its name to the book's two main sections. He reads four poems from Nod House — "Sound and Subsequence," "Day after Day of the Dead," "Lullaby in Lagos" and "Ghost of a Trance" — followed by two poems from the as-yet-untitled manuscript that will follow that collection, "A Night in Jaipur" and "Stick City Bjajan." The second program features Mackey in conversation with Bernstein. They begin by unpacking some of the host's favorite ideas (and titles) from Mackey's oeuvre, including "discrepant engagement," and "paracritical hinge," before considering the relation of sound and sense, rhythm and reason within his thinking. From there, they move on to Lorca's concept of duende and how it relates to Mackey's poetics, then consider the role of syncopation within his work as well as its depth of allusion. The wonderful Eric Baus, a PennSound alum who'll also be serving as one of Jacket2's initial roster of commentators, will be writing about some of the ideas that Mackey and Bernstein discuss here, and I'm very much looking forward to hearing his thoughts on these issues. Please keep an eye out for that, as well as audio and video from Mackey's evening reading at the Kelly Writers House, in the near future. For now, be sure to enjoy these fascinating new recordings on PennSound's Nathaniel Mackey author page, where you'll also find a wide array of readings, interviews and conversations from 1987 to the present. Double Change was founded in 2000 in order to juxtapose, unite and reunite the poetries of France and the United States in a new bi-national, multi-faceted forum. Established as a not-for-profit organization in Paris and with editorial boards in both France and the U.S., Double Change looks to represent a diverse, eclectic spectrum of poetic activity in both countries. The organization has two principal aims: to discover new poets and rediscover poets in expanded bi-national contexts; and to represent in our forums poets and other artists who are in dialogue with their texts. For these goals we have two essential venues: a reading series in Paris, and a web site featuring a poetry magazine and a film archive. Double Change is sponsored by the Conseil Régional d'Ile-de-France. 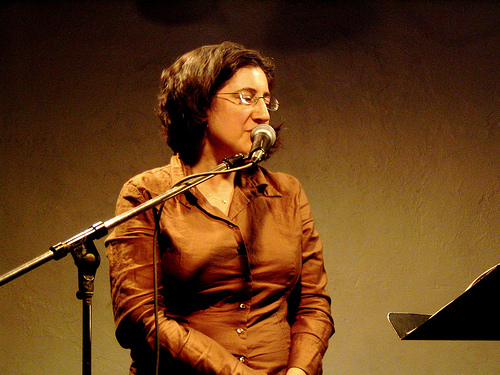 On our Double Change series homepage, you'll find links to audio and video from more than thirty events that have taken place between 2006 and the present, including sets by Jen Bervin, Anna Moschovakis, David Antin, Lyn Hejinian, Dominique Fourcade, Ron Padgett, Elizabeth Willis, Michael Heller, Michael Davidson Stephen Ratcliffe, Stacy Doris, Caroline Bergvall, Charles Alexander, Pierre Joris, Andrew Zawacki, Eugene Ostashevsky, Rosmarie Waldrop, Juliana Spahr, Charles Bernstein, Stephen Rodefer, Kenneth Goldsmith, Peter Gizzi, Carla Harryman, Barrett Watten, Susan Howe, Jenna Osman, Rob Halpern, Vanessa Place, Eleni Sikelianos, Alice Notley, Claudia Rankine and Cole Swensen, among others. 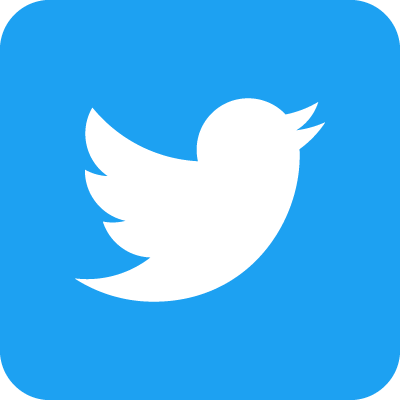 These links have also been integrated with the respective authors' pages. 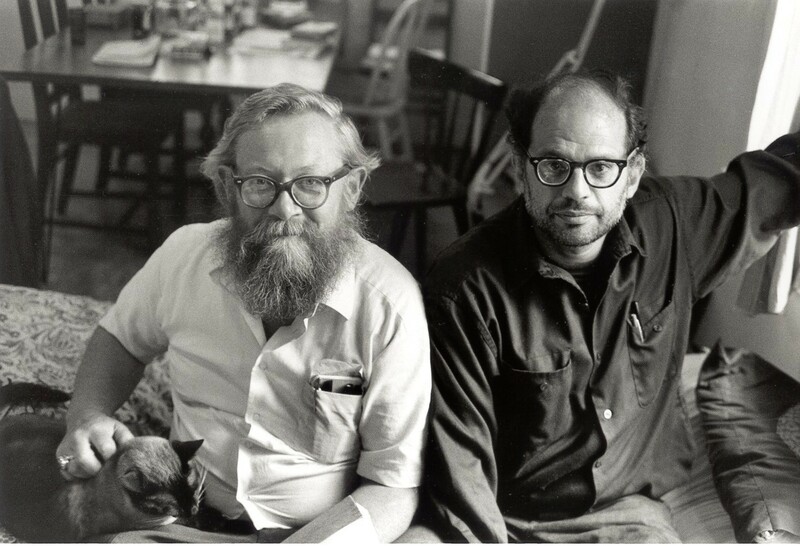 We're closing out the week with a newly segmented 1971 recording from Allen Ginsberg (shown at left with Philip Whalen in a photograph by Gordon Ball taken during the same visit), taken from Robert Creeley's reel-to-reel archives. Creeley's scant notations on the tape indicate the location of these recordings as San Francisco's Intersection for the Arts in August 1971, and it appears, from Ginsberg's comments, that these sixteen tracks were part of two, or perhaps three, readings with the split coming between tracks 11 and 12. The final track, an excerpt from "Howl, Part I" has a different sonic character than the reset of the recordings, and is likely from a separate source. Most notably, this set includes a few short poems that do not appear in Ginsberg's Collected Poems: 1947-1997, including "At the Capri," "Sierras Hermitage" and "Nothing Personal," along with early versions of poems that would appear in his National Book Award-winning The Fall of America: Poems of These States 1965-1971: "Milarepa Taste" (appearing here as "Two Haikus"), a very early version of "Hūm Bom!" and "Opium Pedaling" (which would appear in that volume, minus its first line, as "Over Laramie"). Other poems from that volume included in the set are "Autumn Gold: New England Fall," "Elegy for Neal Cassady," "Eclogue," "Guru Om," "Have You Seen This Movie?," "Bixby Canyon Ocean Path Word Breeze," "Gary Snyder Reading Poesy at Princeton" and "An Open Window in Chicago." He begins with "Stanzas Written at Night in Radio City," a 1949 poem, to be published in his collection of early rhymed verse, The Gates of Wrath (1973). Aside from the early and variant versions of some poems, what we have here is a wonderful performance from Ginsberg, who's in fine form and comfortable with his audience, cracking jokes and providing background information, as if often the case in the wide array of recordings that you can check out on PennSound's Allen Ginsberg author page. Last summer, we announced that Marcella Durand would be UPenn's 2010-2011 CPCW Fellow in Poetics and Poetic Practice, and this spring she's teaching a fascinating course entitled "Poetry & Poetics: The Ecology of Poetry" at the Kelly Writers House. We recently asked Marcella to choose some of her favorite recordings from the PennSound archives for our Featured Resources list (which you can see in our site's lower left sidebar), and today we're very happy to unveil her wonderful picks. She tells us that while she had a lot of fun rummaging through the site, it was very difficult narrowing things down to a final eleven. 6. Bernadette Mayer: from Studying Hunger, "Blondie"
When you're done enjoying her picks, don't forget to check out Marcella's own PennSound author page, where you'll find a wide array of readings, tributes, and discussions, including several Segue Series sets and two recent PoemTalk podcasts. North of Invention presents 10 Canadian poets working at the cutting edge of contemporary poetic practice, bringing them first to the Kelly Writers House, then to Poets House in New York City for two days of readings, presentations and discussion in each location. Celebrating the breadth and complexity of poetic experimentation in Canada, North of Invention features emerging and established poets working across multiple traditions, and represents nearly fifty years of experimental writing. North of Invention aims to initiate a new dialogue in North American poetics, addressing the hotly debated areas of "innovation" and "conceptual writing," the history of sound poetry and contemporary performance, multilingualism and translation, and connections to activism. Poets involved in the festival include Lisa Robertson, M. NourbeSe Philip, Stephen Collis, Christian Bök, Nicole Brossard, Adeena Karasick, a.rawlings, Jeff Derksen Fred Wah and Jordan Scott, and the full schedule includes both readings and presentations from all participants. You can start exploring this wonderful resource by clicking on the title above, and keep an eye out for a companion feature, edited by Dowling, which will appear in Jacket2 later this year. Our PennSound Classics page continues to grow by leaps and bounds, with new contemporary interpretations of a wide array of historic texts being added on a regular basis. This week saw the release of a very exciting set of recordings from Jerome McGann who reads selections from the work of Edgar Allan Poe. Recorded earlier this month in Charlottes	ville, VA, McGann's session includes ten poems altogether: "To Helen," "Israfel," "The Sleeper," "Dream-Land," "The Haunted Palace," "The Conquerer Worm," "The Raven," "Ulalume - A Ballad," "El Dorado" and "Annabel Lee." 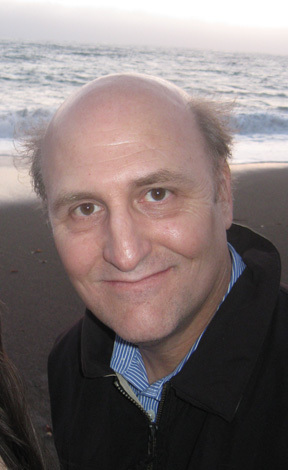 McGann recently co-chaired "Rethinking the Center, Remapping the Culture: Poe and the American Renaissance," a bicentennial symposium on the poet's life and work held at the University of Virginia, where he serves as the John Stewart Bryan University Professor of English. Undoubtedly, these recordings will a wonderful pedagogical resource, and a delight for fans of Poe's work. Be sure to browse through the the complete archives of PennSound Classics for more wonderful recordings, and don't forget to check out our Jerome McGann author page, where you'll find a 1991 staging of his "Dialogue on Dialogue" at SUNY-Buffalo with a cast that included McGann, Charles Bernstein and Elizabeth Willis. Aaron Kramer Reads Whitman's "Song of Myself"
As we mentioned in Friday's PennSound Daily, our Classics collection has been augmented with a number of exciting recordings recently. Within the past month, we've announced both Jerome McGann's selected works of Edgar Allan Poe and John Richetti's performance of more than eighty of Shakespeare's sonnets, and it wasn't so long ago that we launched new author pages for both F. Scott Fitzgerald (containing the modernist master reading Shakespeare, Keats and Masefield) and William Blake (home to interpretations of the visionary poet's work by Allen Ginsberg, Charles Bernstein and Anne Waldman among others). This week, we're very happy to announce yet another wonderful addition to our Classics archive: a 1974 recording of Aaron Kramer reading much of Walt Whitman's "Song of Myself." 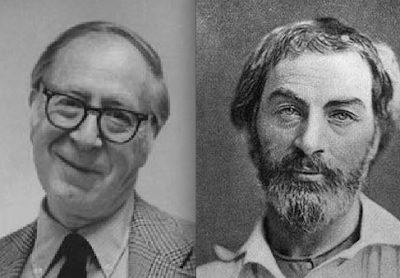 Al Filreis wrote about Kramer on his blog this weekend, providing some background info on the recording: "Back in 1974 the poet Aaron Kramer, long a supporter of Walt Whitman's importance, recorded himself performing 'Song of Myself.' Kramer's daughter found this recording, and many others, in boxes of cassette tapes in her father's house after his death. PennSound's Kramer author page includes many of these recordings, including the Whitman." This recording includes thirty-two of the poem's fifty-two sections, each segmented into its own individual track, and on Kramer's PennSound author page, you'll also find, in addition to recordings of him reading his own poetry and several curatorial projects (including his "Poets of the Sweatshop" programs for WBAI-FM), critical work on Robert Browning, Elizabeth Barrett Browning and the "Russian Poets of Prophecy." Click on the title above to start listening. 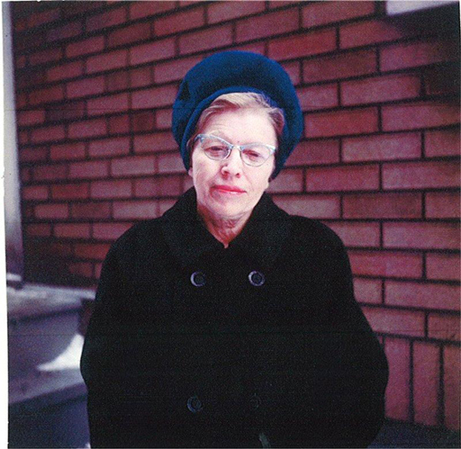 We're very excited to announce a new author page for Lorine Niedecker, which is home to a segmented recording made by Cid Corman in 1970, during last months of the poet's tumultuous life. The serendipitous origins of this page — which came together quickly over the last week — merit retelling. Last Sunday, we announced a new list of PennSound Featured Resources, chosen by Marcella Durand, and among her eleven selections was the complete recording presented here, which came to us from the Factory School archives. I have to admit that this inclusion took me by surprise — buried in our Singles database, the recording wasn't of particularly great fidelity and therefore had never been segmented to create an author page, and frankly, I had no idea that we even had this. Marcella's enthusiasm for Niedecker and her work, however, brought it to my attention, and it wasn't long after we launched her selections on PennSound Daily last week that Eric Baus (to whom we send birthday greetings today!) wrote to tell me that he too was a big fan of this recording and had a better quality version that we were welcome to use for the site. He sent it over, Anna Zalokostas split it up, and now we have a Niedecker page! This brief fifteen minute set includes ten poems first published posthumously in the 1991 collection Harpsichord & Salt Fish (Pig Press): "Thomas Jefferson," "The Ballad of Basil," "Nursery Rhyme," "Three Americans," "Thomas Jefferson Inside," "Foreclosure," "His Carpets Flowered" and "Darwin," as well as "Wild Man" (published in that volume as "Wilderness") and "Gerard Manley Hopkins" (later titled "Otherwise"). The recording ends with a short chat between Corman and Niedecker on the subject of the latter's increased productivity — "I do have more time, but I think that, now more than ever, I think lines of poetry that I may use, all day long and even in the night, whereas before I was taken up with so many things" she observes, adding "I'm sixty-seven years and if I'm going to do it some more, I'd better get to it" — before, unfortunately, the tape cuts off. We're very happy that finally Niedecker has a place alongside her Objectivist peers in PennSound's archives, and judging from the enthusiastic response to news of the new page on Facebook, a great many of you are as well. Start listening now by clicking on the title above. PennSound is very sorry pass along the news — as reported by Coffee House Press and the St. Mark's Poetry Project — that poet Akilah Oliver has passed away at her home in the Fort Greene section of Brooklyn. Our thoughts are with Oliver's family today, and all those greatly affected by her passing. In her memorial note, Rachel Levitsky enumerates Oliver's many achievements: "Akilah Oliver was born in 1961 in St. Louis and grew up in Los Angeles. In the 1990s she founded and performed with the feminist performance collective Sacred Naked Nature Girls. For several years, Akilah lived and raised her son Oluchi McDonald (1982-2003) in Boulder, Colorado where she was a teacher, activist and beloved member of the community at Naropa University's Jack Kerouac School of Disembodied Poetics. Recently, in New York City, Akilah taught poetry and writing at Eugene Lang College, The New School, Pratt Insitute and The Poetry Project, where she also served as Monday Night Readings Coordinator in 07-08. She was a Ph.D. candidate at The European Graduate School and a member of the Belladonna* Collaborative." "We feel this loss deeply," she concludes, "in all the communities where Akilah shared her energy, strength, life, wisdom and spirit." Oliver's most recent book, A Toast in the House of Friends (Coffee House Press, 2009), a meditation on the loss of her son, now stands as a testimony to the void created by her passing as well. As a tribute to Oliver, PennSound co-founder Charles Bernstein posted his cover blurb for that volume, which has an added resonance now: "The ceremony of sorrow is performed with a measured, defiant acknowledgement that makes words charms, talismen of the fallen world. Poetry is a holding space, a folded grace, in which objects held most dear disappear, returning as radiant moments of memory's forgiving home." On PennSound's Akilah Oliver author page, you'll find recordings of four readings: two dating from 1999 (one for the Belladonna* reading series, the other from Boulder's Left Hand Reading Series), as well as two recent Segue Series sets at the Bowery Poetry Club in 2007 and 2009. Information on Oliver's services and memorial are forthcoming, and will no doubt be posted to the blogs of both the Poetry Project and Coffee House Press. All of us at PennSound were tremendously happy to hear the news, released late Thursday afternoon, that Susan Howe had been named the 2011 winner of Yale University's prestigious Bollingen Prize. This year's judges, Peter Gizzi, Marjorie Perloff and Claudia Rankine hailed Howe's prodigious body of work, observing "In more than three decades of writing, Susan Howe has discovered the ground of a new American poetry, one that combines the most unlikely elements: history and mysticism, Puritan New England devotional writing and the Irish folk Ballad, visual lyricism and dramatic narrative, scholarship and memoir. Her work has transformed key sources from the American literary and philosophical traditions — Dickinson, Melville, Perce, and Edwards. 'More and more,' Howe writes in That This, 'I have the sense of being present at a point of absence where crossing centuries may prove to be like crossing languages.' Susan Howe has given American poetry a new voice and a new language." The committee further praised That This (New Directions, 2010), Howe's latest volume, as the work of "a fierce elegist." "That This, prompted by the sudden death of the poet's husband, makes manifest the raw edges of elegy through the collision of verse and prose, visionary lyricism and mundane incident, ekphrasis, visual patterning, and the reclamation of historical documents. The book culminates in a set of luminous and starkly condensed lyrics moving increasingly toward silence." You can explore a wide variety of recordings spanning thirty-three years on PennSound's Susan Howe author page, including Howe's reading and discussion as one of last year's Kelly Writers House Fellows, her 1995 appearance on Charles Bernstein's LINEbreak program, her recent collaborations with musician David Grubbs and PoemTalk Podcast #32, which focuses on Howe's interpretation of Emily Dickinson's "My Life had stood - a Loaded Gun."